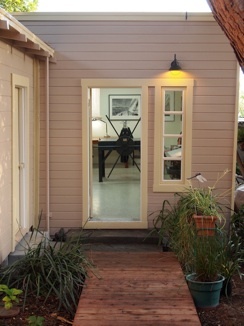 After almost five years in our Berkeley location, we have closed that studio and moved back to our home studio in Oakland. We have had a wonderful time in Berkeley these past several years, reconnecting with old friends and making many new ones. Rebuilding the studio has taken some time, and is now ready for use. I hope we can see most of you in Oakland in the future. 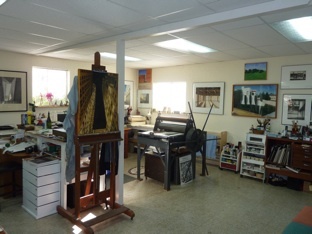 The studio will be available for visits by appointment or regularly announced Open Studios. Three years ago I was invited to work with James Claussen at San Francisco Academy of Art and produced my first lithograph in 40 years: “The Turn Around”. Two years ago I was awarded an Artist in Residency, by the California Society of Printmakers, to work with John Gruenwald and we produced four lithographs in just a month! I have been accessing the print studio at Laney College in Oakland to continue my work and have printed four lithographs to date.